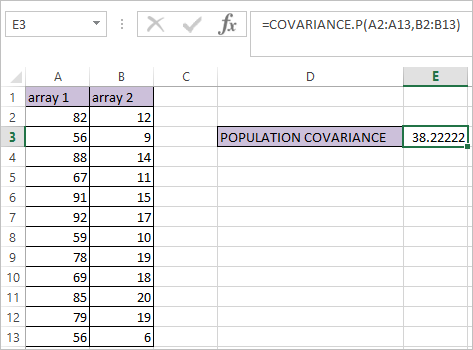 COVARIANCE.P Function in Excel calculates the population covariance of two supplied sets of values. Where the array arguments are numeric values for which you want to calculate the population covariance. #N/A Error occurs if the two supplied arrays have different lengths.